English premiership club, Manchester United are closing in on Brazilian teenage forward Lucas Moura after unveiling their first two signings of the summer. 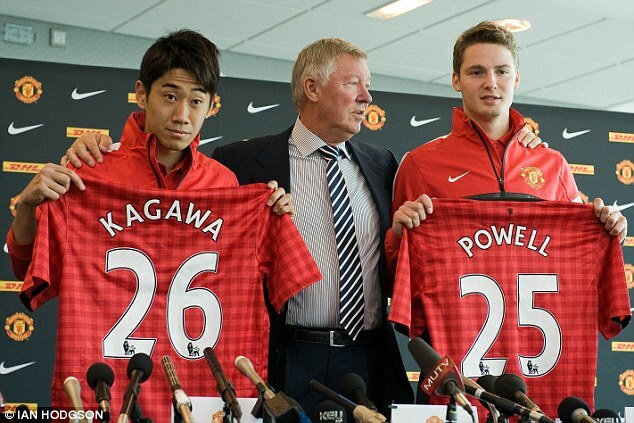 While manager Sir Alex Ferguson paraded Shinji Kagawa and Nick Powell at Old Trafford, chief scout Jim Lawlor was in Sao Paulo to tie up a £25million deal for the highly rated playmaker. Moura’s signature before he plays in a pre-Olympic friendly against Great Britain at Middlesbrough next week. Sao Paulo claim they have already rejected a £32.4m offer from Chelsea but United are hopeful of signing the 19-year-old if they can improve on Inter Milan’s unsuccessful bid of £20m. Brazil midfielder Anderson could also be included as part of the package. Flanked by the boy from Kobe and one from Crewe, Ferguson set about trying to re-establish United as champions of England following that dramatic title race with neighbours Manchester City. Bringing in Kagawa and Powell for an initial joint cost of £16m might not be seen as the most emphatic of statements but Ferguson continues to build carefully for the future amid persistent questions over his spending power. One question about the Glazers was cut short quickly. Both players will be part of the first-team squad, although Kagawa is set to play the more prominent role this season after his £12m move from Borussia Dortmund that could rise to £17m. The 23-year-old Japan midfielder will go on the club’s pre-season tour of South Africa and China, and could even start the season if Ferguson is satisfied the language barrier is not too great. 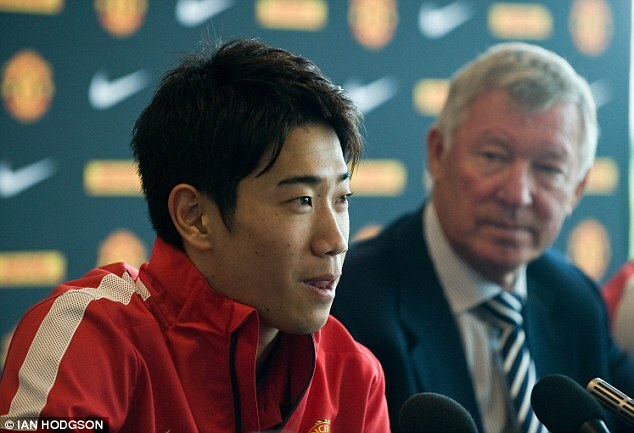 Kagawa’s popularity in the Far East was clear from the number of Japanese media at Old Trafford. ‘I’m sure he’ll improve his English over the next few months,’ said Ferguson. ‘He won’t understand my Scottish when I lose my temper anyway so it doesn’t matter! ‘Once he adapts and knows some of the football phrases our players use then he can start in the first game. ‘I definitely feel the attention of the media globally now that I’m a member of a great club like Manchester United,’ said Kagawa. ‘But I think I can take the pressure. I’m confident I can adapt to the Premier League style. If Kagawa is aware of the increased interest, imagine how Powell feels after just two seasons at Crewe in League Two. Ferguson says he sees the 18-year-old’s future in central midfield, but Powell is prepared to be patient following his £4m move.